Sometimes the most entertaining or useful Christmas gifts are the little, cheap, unexpected ones. And there is no shortage of ideas for affordable, car-themed gifts. We’ve picked out 10, all available for £20 or less. You can find more Christmas gift ideas by clicking here. Making handsfree calls is probably less useful to most modern motorists than having access to their music library, whether they’re using iTunes or streaming over Spotify. But most older cars don’t have Bluetooth, or if they do it’s for phone calls only, without proper audio support. This little device fixes that problem. 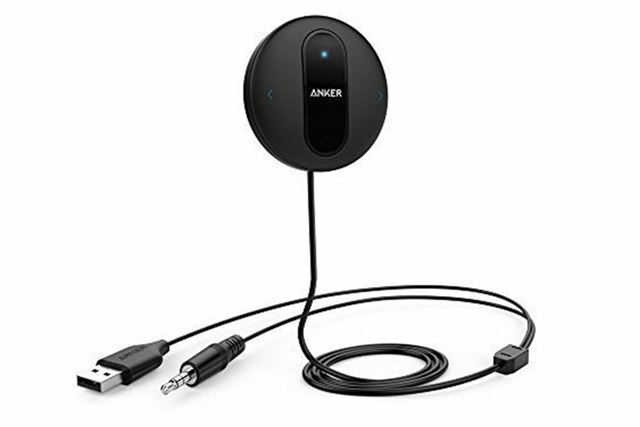 It plugs into an AUX socket and the 12V output, then pairs to a smartphone or iPod via Bluetooth and lets drivers listen to their music or make handsfree calls. It has buttons for skipping and pausing tracks, so the phone can be left in a safe, out-of-reach place. All for less than £20.